The Suffolk Stove traditional range is a lovely range of stoves bringing nostalgia and tradition into the heart of your home. 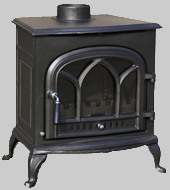 The Suffolk Stove range offers an affordable and cost effective selection of cast iron wood and multi fuel stoves with outputs from 5KW up to large 16KW models. 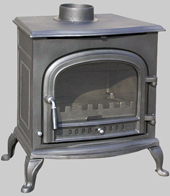 Suitable for most applications in cottages or houses, these cast iron stoves have a rustic charm of country styling, featuring a decorative and heavily detailed range of patterns cast into the surface. Burn either wood or smokeless fuel. 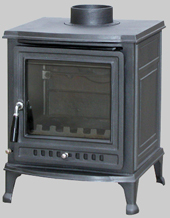 A charming range of cast iron stoves bringing nostalgia and tradition into the heart and hearth of your home. New for 2013 are the Aldeburgh and the Southwold stoves offering more modern styling and large windows for a lovely view of the fire. Boiler options available on larger models.